Top three fastest during Friday practice at the Coates Hire Ipswich Supercar meet. (1/3) #97 Red Bull Holden Racing Team, Shane van Gisbergen, Holden Commodore ZB. (2/3) #12 Shell V-Power Racing Team, Fabian Coulthard, Ford Falcon FG/X. 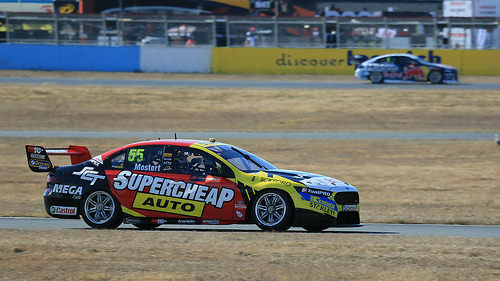 (3/3) #55 Supercheap Auto Racing, Chaz MostertFord Falcon FG/X.